Dr. Eben Alexander, a neuroscientist, contracts acute graham negative bacterial meningitis which is extremely rare and often fatal. He enters a coma and this book is about his journey during that time, a time when he believes he is in Heaven. While the journey itself can be debated, I believe that the lessons that can be drawn from this book are extremely powerful, universal and the whether his trip to Heaven “really” happened or not is irrelevant. This will definitely be a book that I re-read. I think the idea of being interconnected, having nothing to fear because you are unconditionally loved and the infinite power of love itself are so powerful. These are the types of principles that I want to live my life bye. 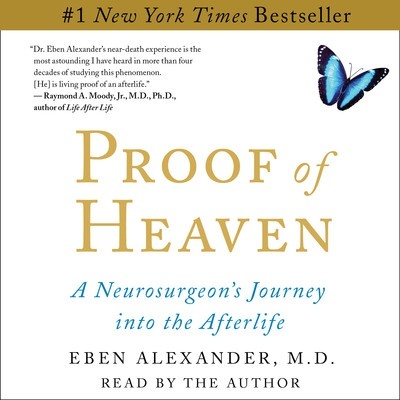 This entry was posted in Books and tagged Eben Alexander, Religion, Self-help, Spiritual on November 4, 2014 by Blas.